Every writer should have an Idea File – preferably a whole bunch of them, a little notebook you carry around, a file on your computer, a file folder, your iPhone, a shoebox. Anything and everything that works for you. My first junior development executive job was working for writer-producers Bruce Evans and Ray Gideon. They wrote STAND BY ME, STARMAN, MR. BROOKS and a ton of other things. They wanted the senior exec and me to pitch them movie ideas once a month. I was working 60-70 hours a week, reading 15+ scripts per week, looking for books and plays that could become movies, as well as running the office. I was thrilled that someone was paying me to come up with ideas that could be movies – even if they weren’t paying me very much. But I had no time to sit around thinking up ideas for movies. So what was my only option? I had to constantly think of ideas for movies. All the time, in the back of my mind, I was thinking, “Is this an idea for a movie, is this an idea for a movie?” and soon, no matter what I was doing – reading a magazine or newspaper, watching a commercial, stuck in traffic or waking from a dream, that part of my mind was always on. Is this an idea for a movie? Whenever I thought something might possibly be an idea, I ripped it out of the paper or magazine, scribbled it on a handy gum wrapper, and immediately shoved it into my Idea File and moved on. Now’s not the time to be judgmental – plenty of time for that later. Putting yourself in this mindset is like developing a major muscle. The more you exercise, the stronger it becomes. The more you do it, the easier it becomes. If you practice this eventually, even though you are not consciously making an effort, the thought “Is this an idea for a movie?” will always be in the back of your mind. Listen to that little voice in your head that speaks up when you come across something that intrigues you. Pay attention, because that voice is telling you something important. It’s saying, “There’s something interesting here!” Latch onto whatever piqued your interest. That’s your creative instinct sending you a message. Radio waves are constantly traveling through the air. We can’t see them. We may not hear them; we might be listening to our iPods or on a different channel. You have to tune in. 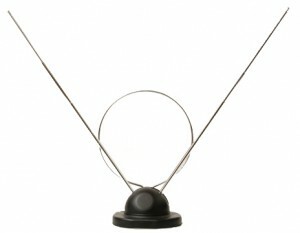 It may not be loud at first, but the more you tune in, the clearer the signal and the higher the volume. If you hear those judgmental, self-doubting voices ignore them. These intriguing little ideas are babies. They’re not good or bad. Who knows what your idea will grow up to be? The night before the monthly meeting, I’d stay up late and look though the Idea File and see if anything there might really have the potential to be a movie. I would dig in, praying there would be something good there, and that I could recall what attracted me to it in the first place – why that little voice in my head spoke up. I couldn’t bear the embarrassment of looking like an idiot in front of these talented guys who I so admired. It was the best thing that could have ever happened to me. A ton of pressure + fear of embarrassment = big motivation yields good results. I set up a project this way. I’m rushing through that magazine as fast as I can, looking for books that sound like they could be movies. And while I’m flipping through, I see one of those double page ads. On the right side of the page, out of the corner of my eye, I spot a book titled “Digging For Gold In Your Own Backyard.” Bam! That sounds like an idea for a movie. I rip it out, shove it into my Idea File, folder version, and go straight back to work. It was 3am. I was hanging out with my then boyfriend, an aspiring writer. I start going through the Idea File and there it is, amongst the gum wrappers, newspaper articles and short stories, and that torn out page from Publisher’s Weekly. “Digging For Gold In Your Own Backyard.” I just knew it was an idea for a movie. Hmm. This is a story about a guy who’s digging in his back yard. Why’s he digging? His family wants a swimming pool and he can’t afford one… (This was before Encino Man!) So he’s a blue-collar guy, trying to keep up with the Joneses. That means he’s in suburbia. So he’s digging. And he hits something. What does he hit? We begin “spit balling,” a key to the creative process. Rapidly tossing out and rejecting possibilities, hoping that one thing would lead to another to another, hoping that eventually we’d hit on something. “A tank!” the ex-boyfriend shouts out like it’s brilliant. Ultimately, this became Unidentified Suburban Object. A comedy about an average Joe, trying to keep up with the neighbors, and make his nagging wife, and his braniac preteen son who looks down on him happy, sets out to dig his own swimming pool, only to discover the Model T of UFOs buried in their backyard. He enlists his son’s help to make it fly again so the hologram alien can return to his home planet where everyone thinks he’s a failure, and let his family know he succeeded. We set it up at Fox Family. All from part of an ad for a book I’ve still never read. I think it’s about making money in real estate, but it certainly paid off for me. All thanks to Idea Files.